Searching for a stylish and innovative car with elegant design and distinction? DS is the premier marque for Citroen and they have a small but elite selection of cars that will suit your needs. You can browse all the DS models available below. If you’d like to find out more about the history and reliability of these very innovative cars, continue reading. When it comes to reliability, the DS is not lagging behind the competition. 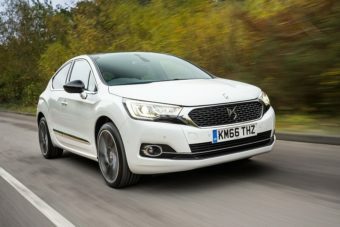 In the 2018 reliability survey carried out by Which?, the DS was found to be reliable, reaching 23rd in the list of cars reviewed over the previous 12 months. DS is a relatively new car manufacturer. Previously a part of the much larger Citroen (itself part of PSA Group), DS became its own premium sub-brand in 2015. DS describes itself as the Spirit of Avant-Garde, and DS itself is an acronym of Distinctive Series. It is the premier marque for the large car group, manufacturing luxury vehicles. Prior to becoming a brand in its own right, the Citroen DS3 was one of the most popular subcompact cars on the market. So, whether you’re looking for a hatchback or a durable SUV, DS will be able to provide you with one that has style and substance. If you’re interested in getting behind the wheel of a brand new and refined DS or just want to speak to someone about your car needs then call our team on 01903 538835 or fill in our contact form and request a call back and we’ll call you back at a time that is best for you. We’ll soon have you driving away in a brand new car. 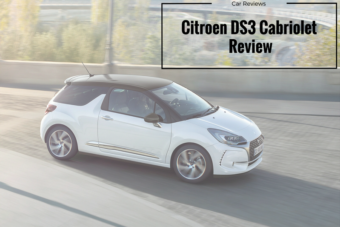 2017 Citroen DS3 Cabriolet vs Fiat 500c vs Mini Convertible: Review and Comparisons. ARE YOU INTERESTED IN GETTING A DS?